A little-known Thai woman has been identified by researchers as the most likely author of an important Buddhist treatise, previously attributed to a high-profile monk. Thammanuthamma-patipatti is a set of dialogues, supposedly between two prominent Thai monks last century. 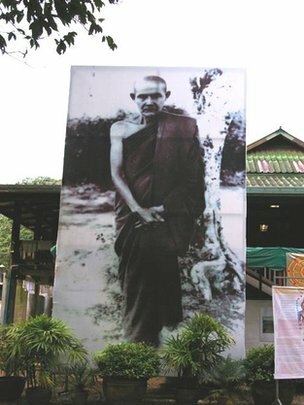 It had been attributed to one of them – Venerable Luang Pu Mun Bhuridatta. But scholars believe it was really by a female devotee, making her one of the first Thai women to write such a text. Printed in five parts between 1932-1934, initially without a named author, Thammanuthamma-patipatti (Practice in perfect conformity with the Dhamma) is viewed in Thailand as a valuable and profound Buddhist text which deals with Buddhism’s different stages of awakening. Dr Martin Seeger from the University of Leeds believes he has traced the authorship of the text to one Khunying Yai Damrongthammasan – a wealthy and extremely devout woman who developed an impressive knowledge of Buddhist scriptures during her lifetime. 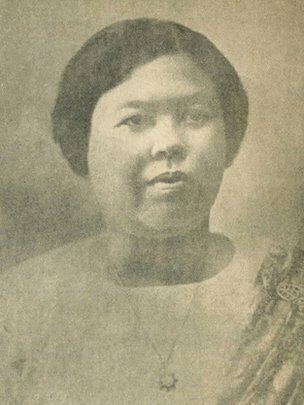 Ms Yai Damrongthammasan was born in 1886 to Thai nobility and grew up in Bangkok. Unlike most women in Thailand at the time, she was taught to read and write and, having studied with monks, she reportedly developed a sophisticated understanding of Buddhist doctrine. After her husband died, she retired to a Buddhist monastery in southern Thailand where she meditated and studied scripture until her death in 1944. “For those who know the text, it is very profound and significant and it has been reprinted many times,” Dr Seeger says. Dr Seeger, who was also ordained as a Buddhist monk in Thailand between 1997 and 2000, recalls how he owned the book when he was studying Buddhism. At the time he did not even consider that it might have been by anybody other than the Venerable Luang Pu Mun – who is revered in Thailand and was a founder of the Thai Forest Tradition revival movement. But a friend of his insisted that something about the text did not add up: “When [my friend] said he heard that a woman may have written it, I became interested,” Dr Seeger says. This interest intensified particularly as he had never heard of Ms Yai Damrongthammasan before. With a grant from the British Academy, Dr Seeger set about investigating this thesis. The first clue came in a biography by her adopted son – who was also ordained as a monk – in which he said that the treatise had been written by her. Dr Seeger interviewed people who had met Ms Yai Damrongthammasan and descendants of those who had known her. He , researched biographies of various monks, cross-checking different sources until, he says, it became clear that she must have been the author of the book. There are also several clues within the text which indicate that it was unlikely to have been written by a monk. In fact, none of the most authoritative biographies of Luang Pu Mun ever claimed that he wrote it. He was only credited with authorship in later editions of the book, which featured pictures of him and another monk on the cover. Dr Seeger thinks it unlikely that Ms Yai Damrongthammasan ever met Luang Pu Mun. The monk died in 1949, a national figure, and the text appears to have been attributed to him after that. Dr Seeger believes some followers of Luang Pu Mun may disagree with his findings. The Thai Forest Tradition movement has monasteries worldwide, including four in the UK. But Justin McDaniel, associate professor of South-East Asian and religious studies at the University of Pennsylvania, says he does not think it is likely to provoke controversy. “You have to understand that authorship in Thailand is never considered to be by just one person. This idea that a single person owns ideas is seen as a ridiculous notion,” he said, adding that authorship is often seen as a composite. He adds that the idea that Ms Yai Damrongthammasan produced the text is consistent with how women were viewed at the time. Indeed in 2006, of the top 100 scores in the highest level of Thailand’s monastic exams, 97 were by women. “I think it’s actually a lot more common than people realise, that students of monks – and especially women who tend to focus more on scholarship – would be writing,” Dr McDaniel says. Even though little direct evidence survives, stories about Ms Yai Damrongthammasan have been passed down generations from people who knew and met her – attesting, Dr Seeger says, to her charisma. And her achievements, being able to read and write and her knowledge of canonical scripture, were very rare for a woman at that time. There was only one other woman who in 1928 wrote a similar text but she was a princess and Dr Seeger says it does not achieve the same level of profundity as this work. “We have been looking for the original manuscript,” he says, but much has been destroyed in the area where she lived out her last years. However, Ms Yai Damrongthammasan never claimed authorship of the book and Dr Seeger says “the real reason that Khunying Yai decided to omit her name from the first edition might never be known”. He says there are several possibilities: people may have considered it inappropriate for a woman to discuss Buddhist doctrine at such a profound level at the time or she may have thought that Buddhist doctrine should be independent of an individual. 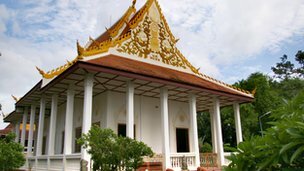 She may also have wanted to remain anonymous out of respect because of conversations that took place with a group of women who met regularly in the temple of Wat Sattanatpariwat to discuss Buddhism – but there is no evidence to confirm the dialogues are based on these. Ms Yai Damrongthammasan’s life story is striking: from wealthy wife to a reclusive life of meditation. Her husband, a well-known judge, had been cremated at one of the most prestigious places in Bangkok, but her funeral was a simple affair that took place on a beach in southern Thailand. “It appears as if she was also a very humble person and not interested in promoting herself,” Dr Seeger says.